Looks like another GL8 will be showing up soon. And again, only in China. 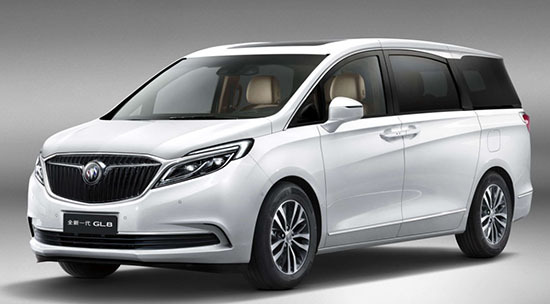 Over the years and generations, the GL8 has been a very popular for Buick in China. So of course, every few years, a new model appears. This new one looks fine. Not sure why GM isn't trying to get this thing over here. Since the Envision is already coming here from China, you would think it would be a low risk idea. The new Pacifica seems to be doing well for "poor" Chrysler. And all new designs are coming next year from Toyota and Honda. Chrysler is so far ahead right now in minivan technology, performance, efficiency, reliability, safety and innovation. GM could build a flying 6-rotor Corvette more for less R&D cash than it would take to catch up. When the next generation Honda & Toyota minivans appear, I think people will be shocked at how much (the japanese) will still be lacking compared to the current Pacifica. GZm has their minivans in the Traverse, Acadia, Enclave, and soon to be XT7.